Hi, this is Lauren. I’ve been down in the Ngorongoro Crater all day today since seven o’clock this morning and we have seen a lot of wildlife. We saw several lions early in the morning. We didn’t see the kill actually take place, but we saw them eating and then saw a jackal and a hyena come and steal some food. Then we saw mom and a young male lion that came and laid down right next to our car. It was really cool to see them up close. 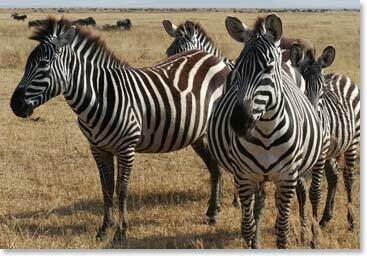 Of course we saw tons of zebra, which are my favourite, and some hippos and all kinds of gazelle and buffalo and warthogs, but no cheetah. I don’t think anyone down in the crater saw a cheetah today, unfortunately. And now we’re headed back up to the Sopa Lodge to take a rest and have dinner. And then I head home tomorrow night. 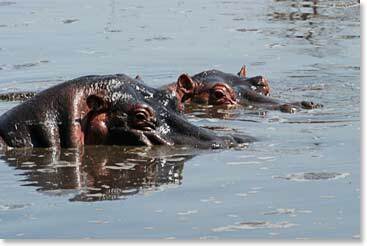 Hippos taking a peek out from under the water. 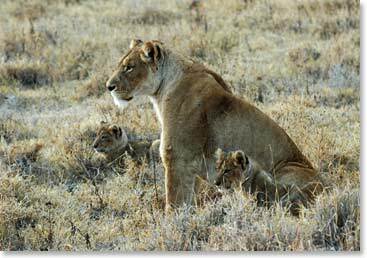 A lioness with her cubs, scanning the horizon.